Imagine the scene. 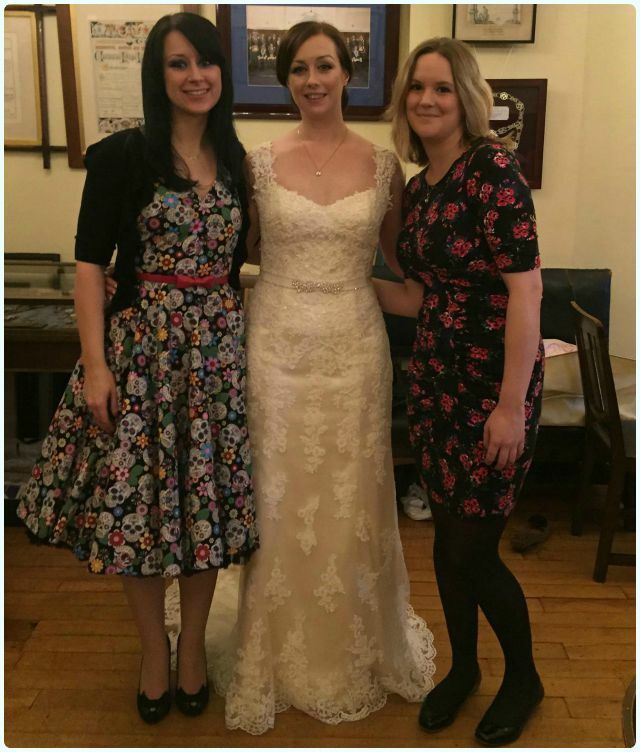 My friend Sarah announced on Christmas Day that she was getting hitched. The Bozos (collective term for my homies) sprang into action, and became a mean, lean planning machine. Between us we threw a fantastic hen party (Henfest), and assisted Sarah and Mark in planning their big day (Wedfest, naturally). Sarah and Mark met over a mutual love of metal, therefore their big day was never going to be a bog standard white wedding with sugared almonds in net bags, and a tiered cake with lots of piped royal icing. Thank God for that! That's when the question came. I'd been waiting for it, and was actually quite relieved when it finally occurred. Sarah and Mark asked me to make their wedding cake. They had something small in mind, perhaps one large bundt cake with a small one on top with pretty icing. Not a chance. 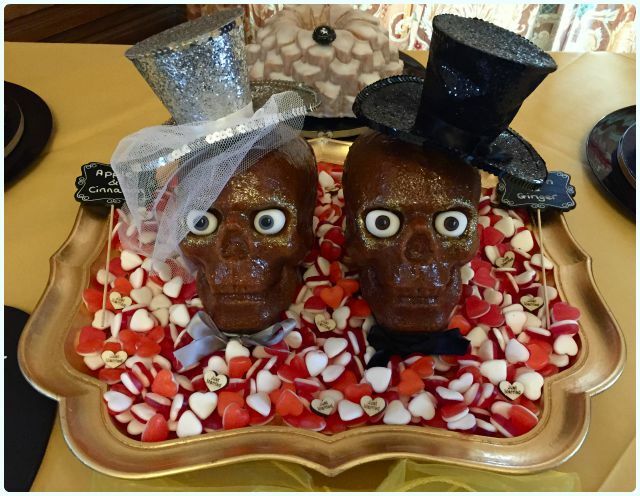 After looking through my bundt page, Sarah clapped eyes on the 3D skull I did last Halloween; she was smitten. Initially the two skulls were going to be it, until I decided that this was nowhere near enough cake for our Wedfest knees up! 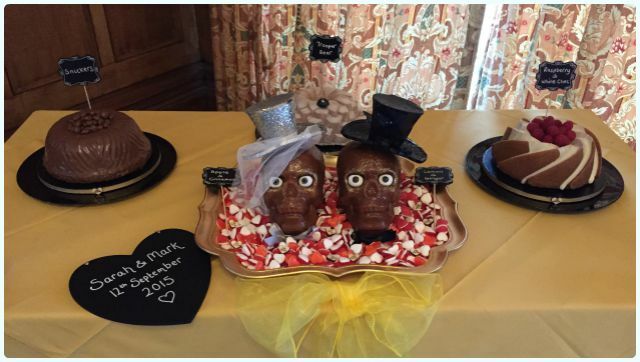 So in the end, we had two skulls (one apple and cinnamon and one lemon and ginger), chocolate covered Snickers, Iron Maiden Trooper beer and raspberry and white chocolate flavoured bundts too. Amazing cakes, but I have to ask... where did you get your dress? Cranks Giveaway: Crank Up Your Lunch!